I don’t know if you noticed but I kind of have a thing for pink. As Audrey Hepburn put it “I believe in pink”. 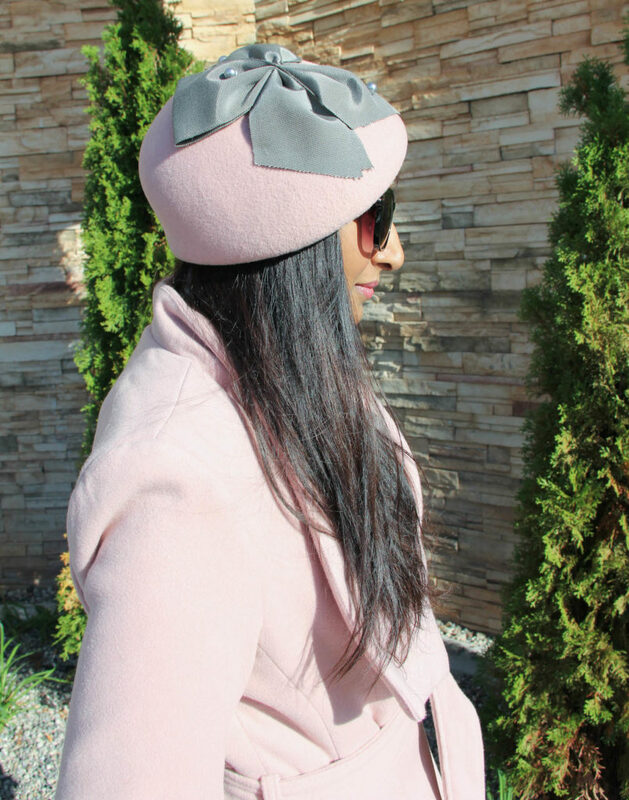 I found this adorable blush pink wrap coat that is just right for the colder weather we’re having lately. November is in with a vengeance and with it comes colder, damper weather. This warm and cozy coat from Suzy Shier is perfect for the cold November days ahead. This coat is so soft and comes with an ultra chic satin lining, matching the exterior colour. The belt around the waist allows you to adjust it for size so you can control how loosely or tightly you want the coat to fit. I also love the longer length of the coat as it offers more warmth and protection from the cold November winds we’ve been experiencing. The best part about this coat is that it’s only $59.99! Can you believe it?! I don’t think I could find a better deal anywhere else. If pink is not your colour the coat also comes in black, grey and cream. I paired this coat with my new favourite Burberry scarf and this super cute hat by Lilliput Hats which I found at Unique Accessories.